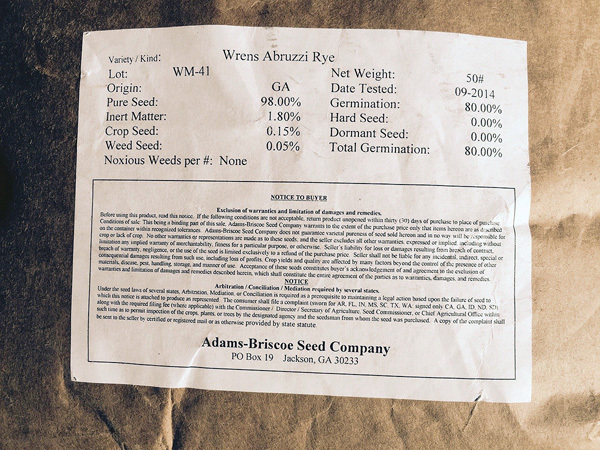 We’re excited this holiday season for an additional reason: planting Italian Rye at the ranch! One of our goals at Pence Ranch & Winery is to not just be a monoculture of only having vineyards on our land. So we are pursuing several other agricultural pursuits to support more delicious consumables from our estate. While we grow some incredible grapes, we also now have olive trees, stone fruits, apple trees and grain. Just prior to Christmas, we seeded three acres of an heirloom Rye at the ranch with the intention of harvesting it for bread and cracker production. Our Winemaker, Sashi Moorman, owns a wood-fired bakery in Lompoc which will mill this grain into bread to be served next year in the Pence Tasting Room. 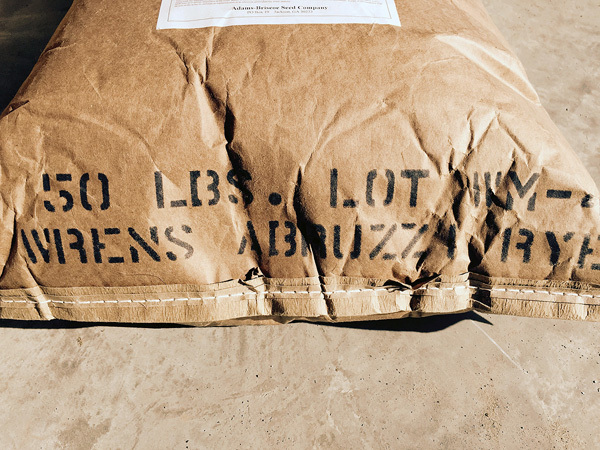 This old strain of Wren’s Abruzzi grain has Italian roots from the 18th century and is widely planted in the southeastern United States. For many bakers it is a far superior version to the more common German Rye. We are super excited to see the results and look forward to tasting bread next summer made from our own organically grown Rye! !